'Christian Encounters', a series of biographies from Thomas Nelson Publishers, highlights important lives from all ages and areas of the Church. Some are familiar faces. Others are unexpected guests. But all, through their relationships, struggles, prayers, and desires, uniquely illuminate our shared experience. Johann Sebastian Bach is generally regarded as one of the greatest composers of all time. He enriched his generation, and every generation since, with his prolific ability to survey and bring together the principal musical styles, forms, and national traditions. Himself a Lutheran, he left a corpus of sacred music to cover the entire liturgical year, including Latin Masses written for the Catholic Court of Dresden, and spent much of his working life as a church music director in Germany. Though he was a highly respected organist during his lifetime, he wasn't recognised as a great composer until the early nineteenth century. Today he is considered one of the most influential ever. 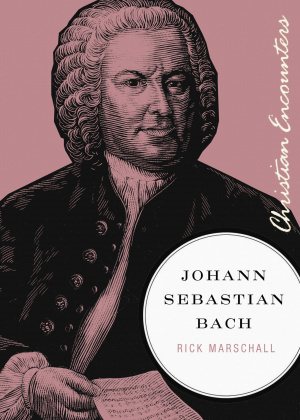 Johann Sebastian Bach by Rick Marschall was published by Thomas Nelson in April 2011 and is our 17452nd best seller. The ISBN for Johann Sebastian Bach is 9781595551085. Be the first to review Johann Sebastian Bach! Got a question? No problem! Just click here to ask us about Johann Sebastian Bach.